It’s the month of sales enablement at MO agency. We've already covered the basic question of what sales enablement actually is. We recommend starting there if you’re new to understanding sales enablement and how it relates to leads, but if you’re strapped for time, sales enablement can be summarised as everything that helps sales teams sell more easily. With that in mind, we’re breaking down the difference between a lead and a qualified lead, and how marketing functions to deliver more qualified leads to their sales team. A lead is anyone who has interacted with your company and is sitting somewhere in the sales funnel. A qualified lead is anyone who has gone through qualifying criteria to assess their quality as a lead, and their readiness to buy. Based on their behaviour, they are in a very specific stage of the sales funnel, which allows sales team to focus on the more qualified leads, so they can make more sales. Lead: anyone who has interacted with our brand. MQL: A lead that by virtue of their position, company, or action they have taken on our website and/or email communication looks like a good prospect for sales outreach. SQL: A lead that a salesperson has spoken to and is confirmed as sales ready. 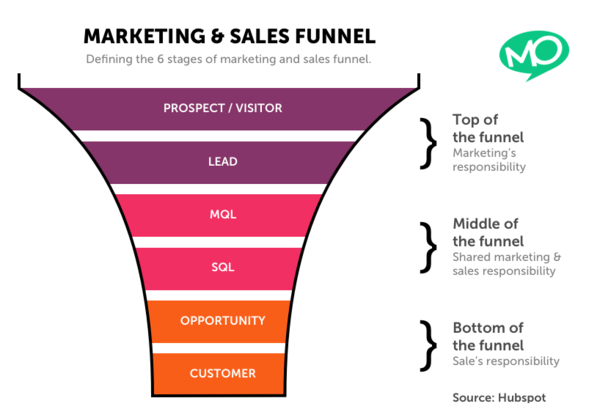 The above graphic outlines how HubSpot’s marketing and sales funnel is structured. Once a lead completes certain actions, they move down the funnel and become marketing or sales qualified leads. Leads near the top of the funnel needing a lot of nurturing to close, and leads near the bottom of the funnel being close to conversion. 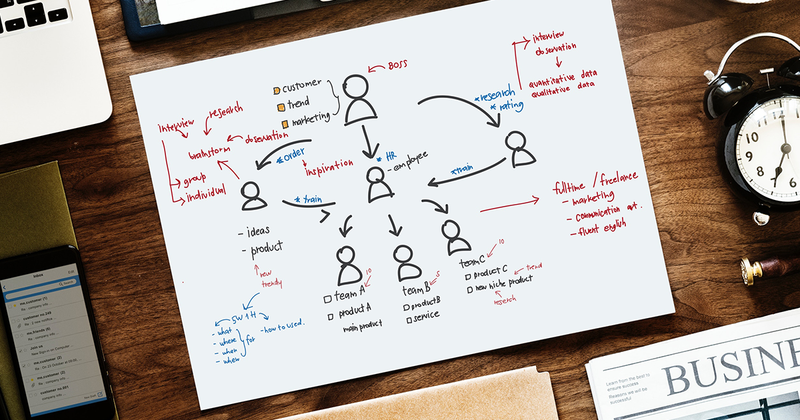 Going through the exercise of categorising leads can seem like an arduous process, but defining what qualifies different leads is crucial to sales enablement. While a sales person is well-equipped to know when a lead is more likely to close, which they seem to know almost intuitively, the marketing team may not know what to look for. By defining the different stages of lead qualification, the marketing team is better able to understand what makes a lead qualified or not, and can then produce content that will encourage behaviour that marks them as marketing-qualified. These marketing-qualified leads get sent to the sales team who qualify them as sales-qualified and, hey presto, the sales team is able to sell more by focusing on the qualified leads. A well defined sales funnel is the key to generating better qualified leads, and is the first step for a better sales enablement strategy. You can find out more about how we qualified our leads and used our sales funnel in our ebook on Sales Enablement. Click on the button below to get your copy.